The universe of Aiyoung Yun, a Korean artist living in Paris, is to a large extent dreamlike. As early as 1995, Olivier Reneau commented that “one comes to Yun’s works, in a sense, the way one enters into a dream”. And this is all the more true of Dream, 3min, 2001 in that the juxtaposition of images and sounds comprises an association of forms (in the sense that one talks about associations of ideas). This is not something that operates according to the dictates of reason, but a sensory work which, first and foremost, needs to be experienced directly. 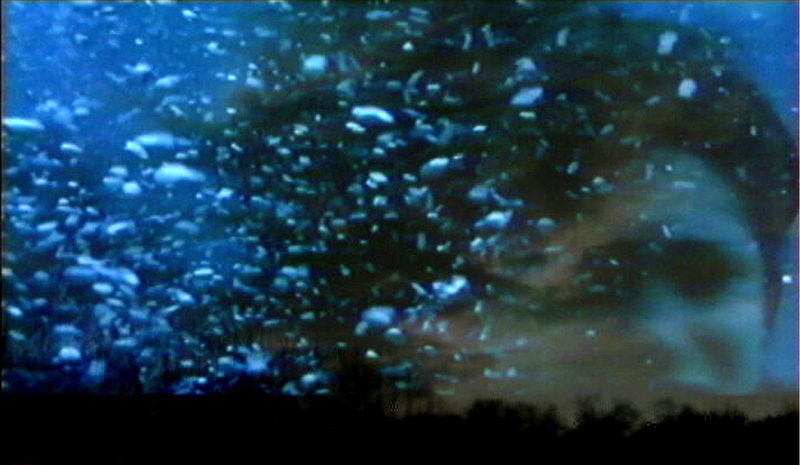 The principal image in Dream is a person immersed in a mainly blue liquid that moves for unknown reasons. The individual appears to discover something when turning his head. The shot, lasting several seconds, is stretched out and repeated. It seems to come directly from the artist’s subconscious. And indeed she uses her subconscious as a source of raw material, and is attached to the feelings of wellbeing left behind by dreams. For Yun, the heart is a point of reference. Everything begins with it. Whereas the body is a vector of emotions.